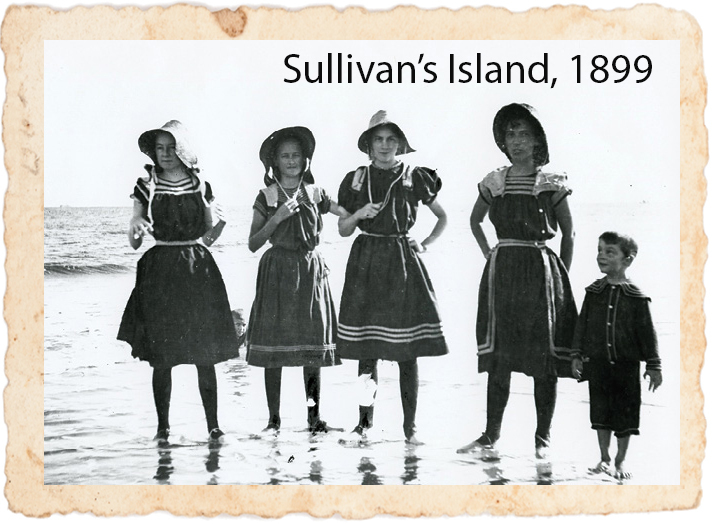 Circa 1890 - It may have become socially acceptable for women to swim in the final years of the 19th century, but they would still have added stockings, shoes, and a cap to this wool suit. Early 20th century - A Charleston shop called “Clark’s” purveyed this cotton outfit for $4. 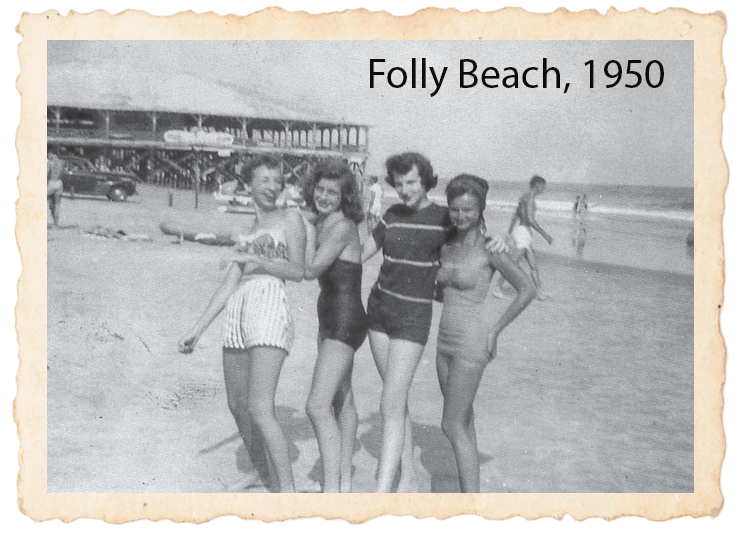 1930s - Isle of Palms and Folly Beach were awakening into hot destinations for fun in the sun and surf during the decade in which this taffeta frock debuted. 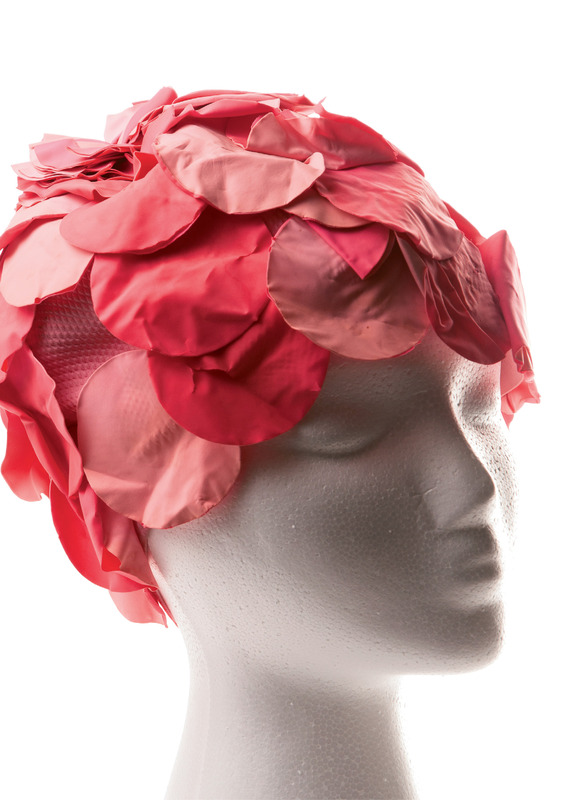 Circa 1949 - Fabric rationing during World War II brought on skin-baring two-piece styles. This knit version by Jantzen was sold at Miss Alta Cunningham’s women’s clothing shop in Greer, South Carolina. 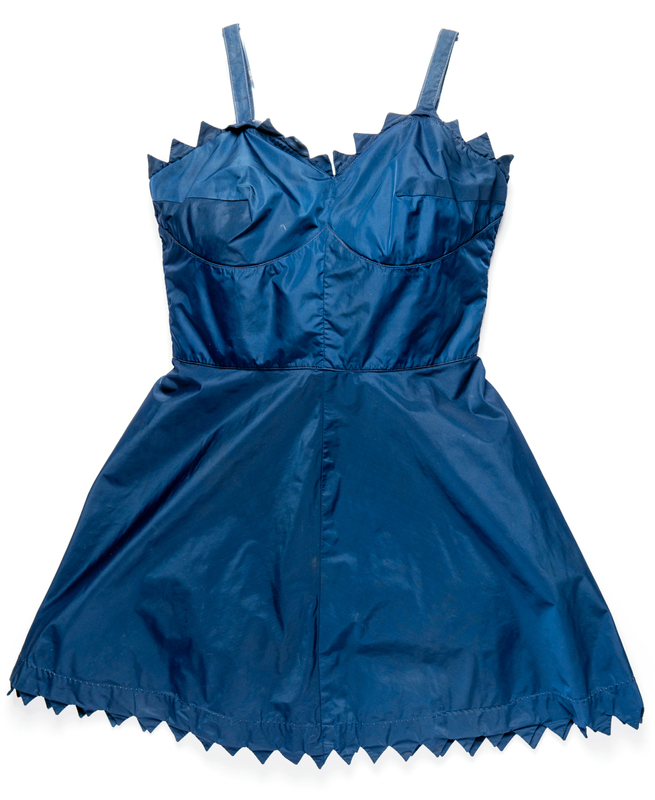 1950s - Popular swimsuit label Par-Form Originals made this taffeta number at a time when strapless tops and halters ruled the beach. 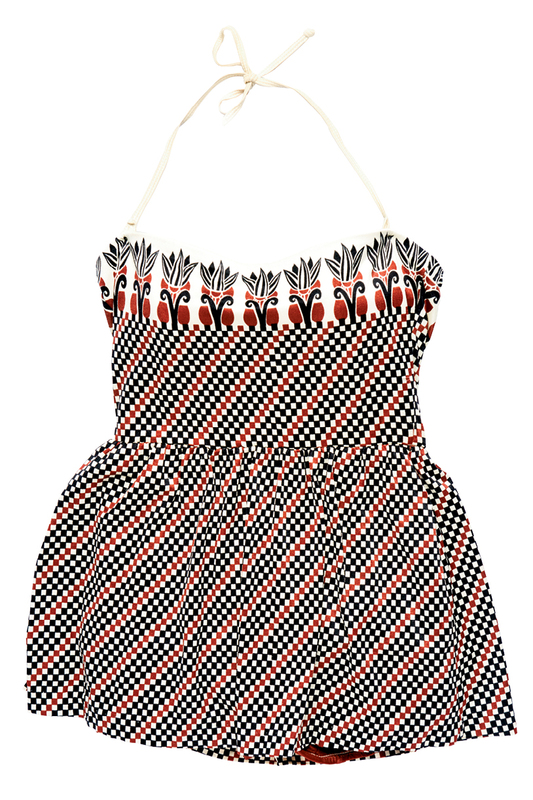 1970s - Nylon and spandex were enhancing swimwear comfort by the 1970s, when Sandcastle made this groovy suit.